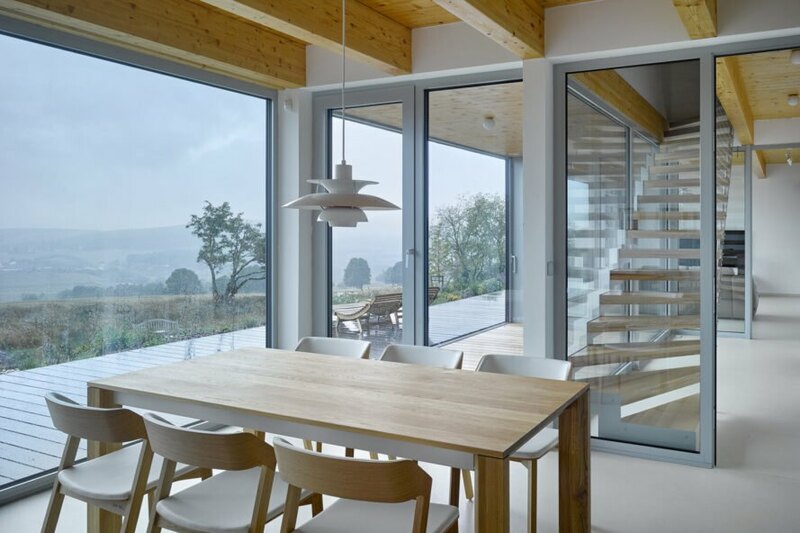 A unique location and environmentally-friendly passive house design are what define this lovely home on the Czech Republic/German border. 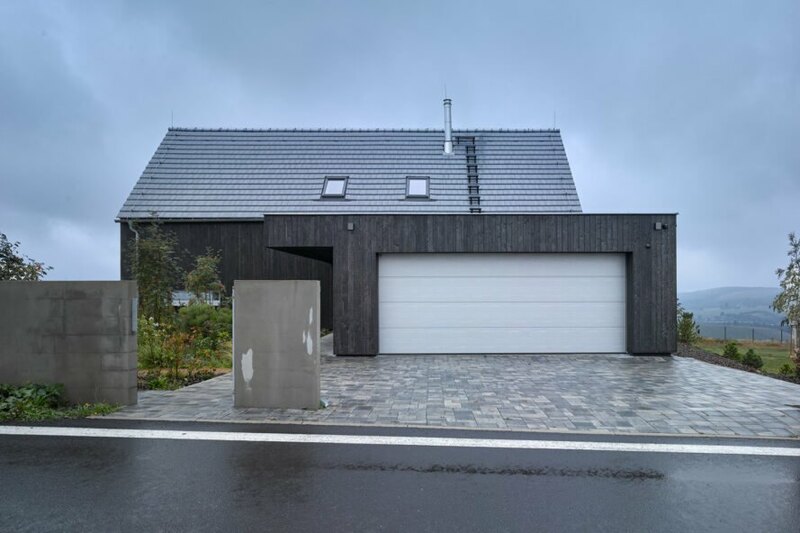 750 meters above sea level and in the middle of a ridge within the Ore Mountains, it almost looks like a modern farmhouse from the outside. On the inside, however, you’ll find a sleek, clean design with light colors, glass and wood. 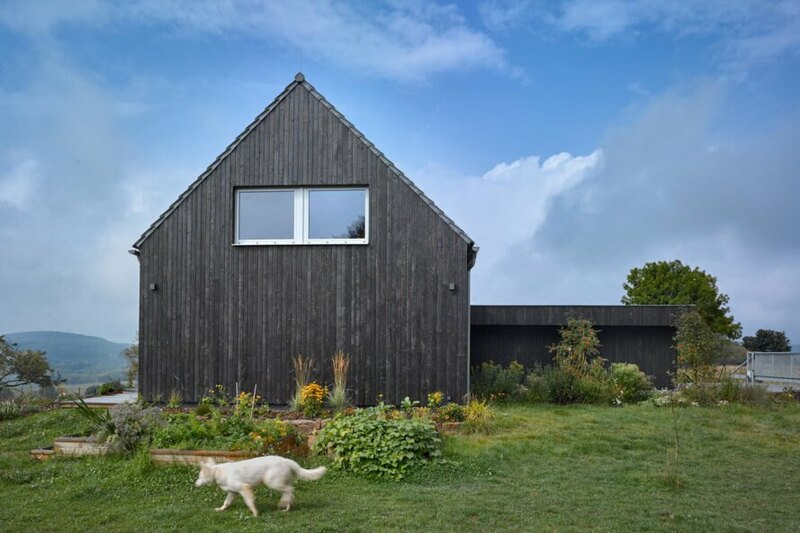 The rustic home was built by Stempel & Tesar Architects and is a certified passive house. A passive house technique dramatically reduces a building’s environmental footprint by essentially reusing the heat generated by electrical and gas appliances (refrigerators, ovens, even computers) to heat the home. A ventilation system is used to supply fresh air from outside the house to keep the air quality clean, and an efficient heat recovery unit contains and exhausts the recycled heat. Ultra tight insulation and advanced windows that don’t allow for the heat to escape is required to produce a passive house. Conversely, a passive house is also designed to keep your home comfortable in the warmer months. So rather than using a separate heating or cooling device like a heater or air conditioner that drains energy, a passive house can recycle the heat that is already being generated. The result is a low-cost, energy efficient design that reduces the ecological footprint of the home. Outside the home is a covered walkway leading to the front entrance and an exterior of dark wood. Using an environmentally-friendly method, the wood was colored using a heating technique that eliminated the need for synthetic varnishes. The wood was also used to match the two-car garage to the look of the main house, and the roof is made of simple ceramic tiles. The location of the property allows for plenty of sunlight to brighten the home through the large windows. The home is comprised of two levels and also features a living room with floor-to-ceiling windows and a sliding door that allows for the entire house to be opened to the garden in the warmer months. Though the summer is short in this part of the world, the designers still included a winter garden and a covered terrace outside. 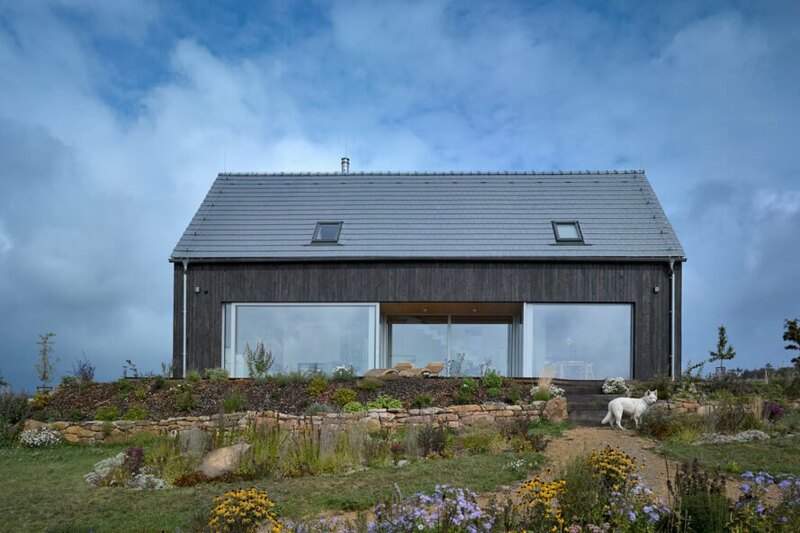 The passive house is located on the Czech Republic/German border. 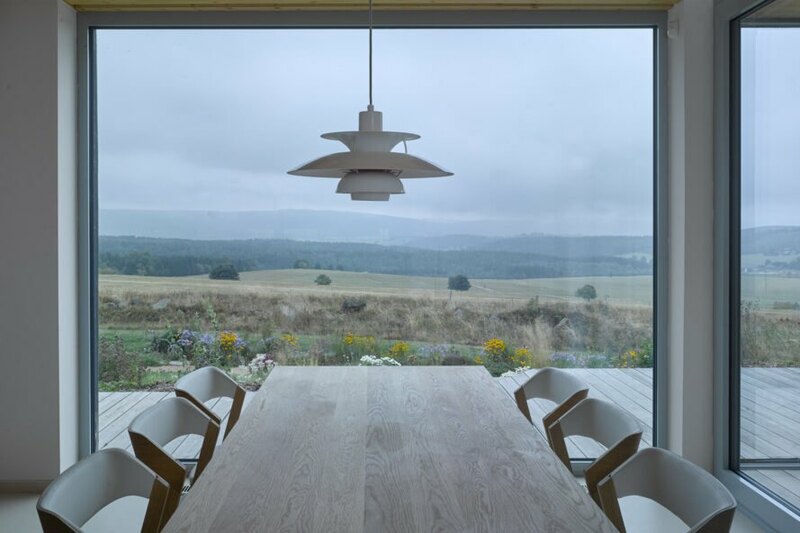 The home is 750 meters above sea level and in the middle of a ridge. Stempel & Tesar architects designed the home to look like a modern farmhouse. The modern like farmhouse is a certified passive house that reuses generated heat. The house features tight insulation and advanced windows. The wood was colored using an eco-friendly heating technique.